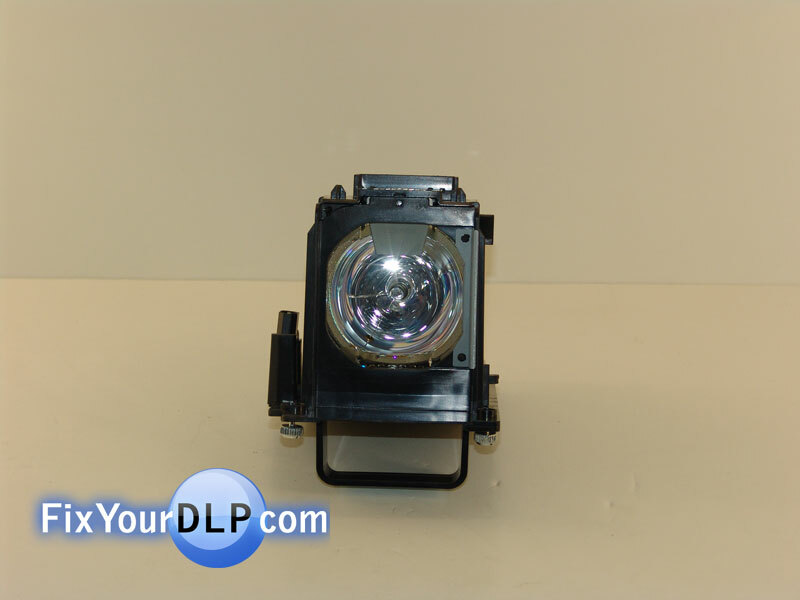 For Part Number: MITSUBISHI DLP Lamp 915B441001 - 915P106A10, 915B403A01. 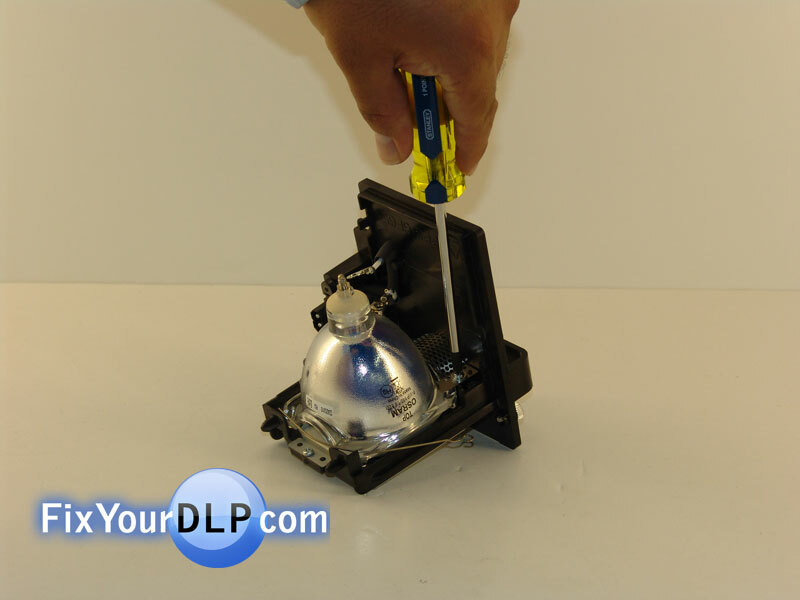 (Unsealed replacement lamp for DLP, SMALL with vents ). 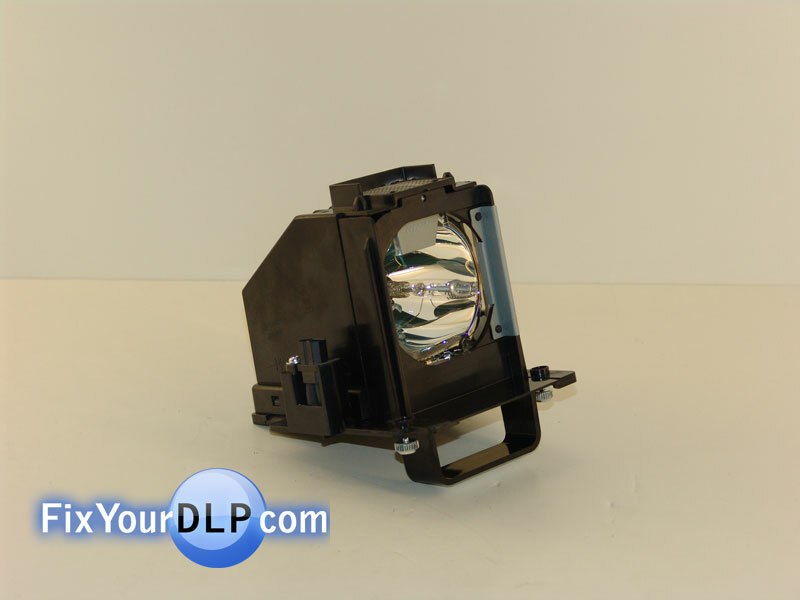 Compatible TV Models: WD-60638, WD-60738, WD-60C10, WD-65638, WD-65C10, WD-73638, WD-73738, WD-73C10, WD-82838. 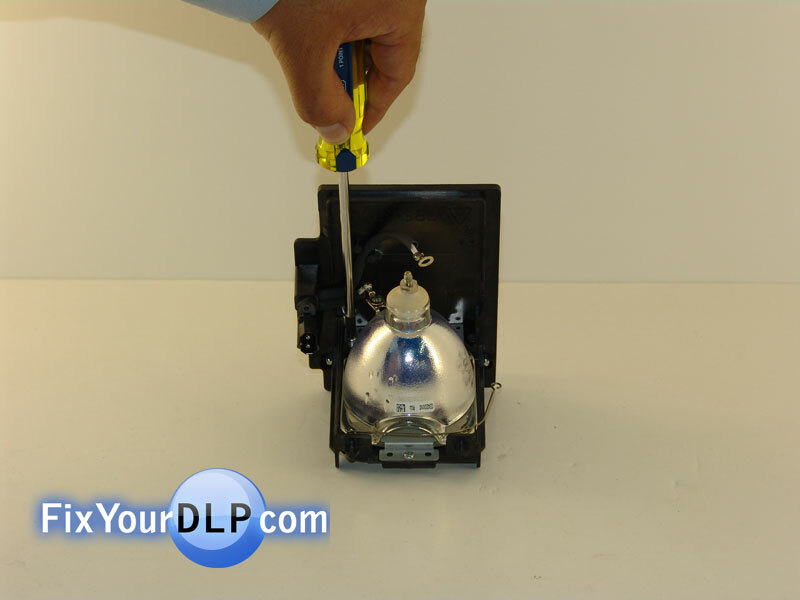 — Do NOT purchase generic brand lamps such as LTI, APO or third-party manufacturers. These lamps were NOT engineered with and for your TV…only your Philips lamp has been engineered to work flawlessly and output the best possible color. Above that, it just doesn’t make sense to choose an aftermarket lamp for a $5-$10 difference (and in many cases they are more expensive!!). Tools Required: 1 Standard Philips screwdriver, & A new lamp. 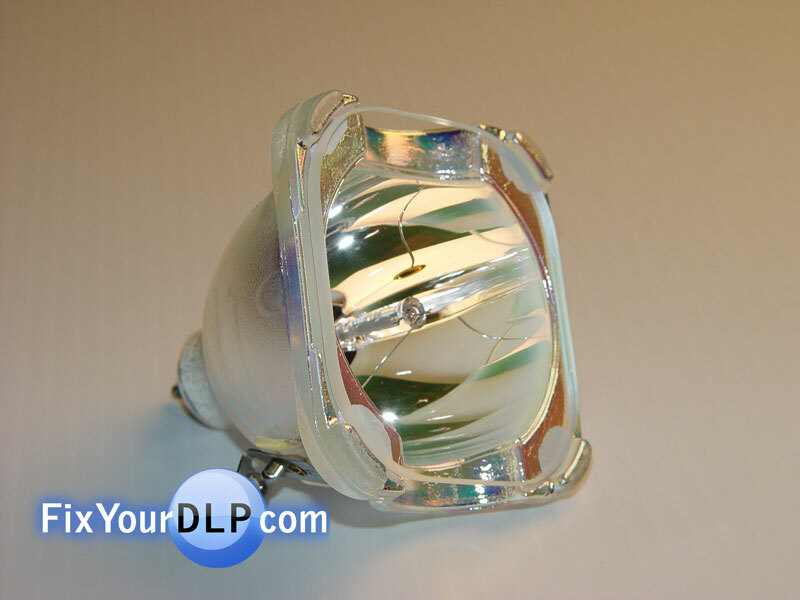 Abstract: This guide is being published to show how easy it is to replace your original MITSUBISHI 915B441001 - 915P106A10 Lamp. 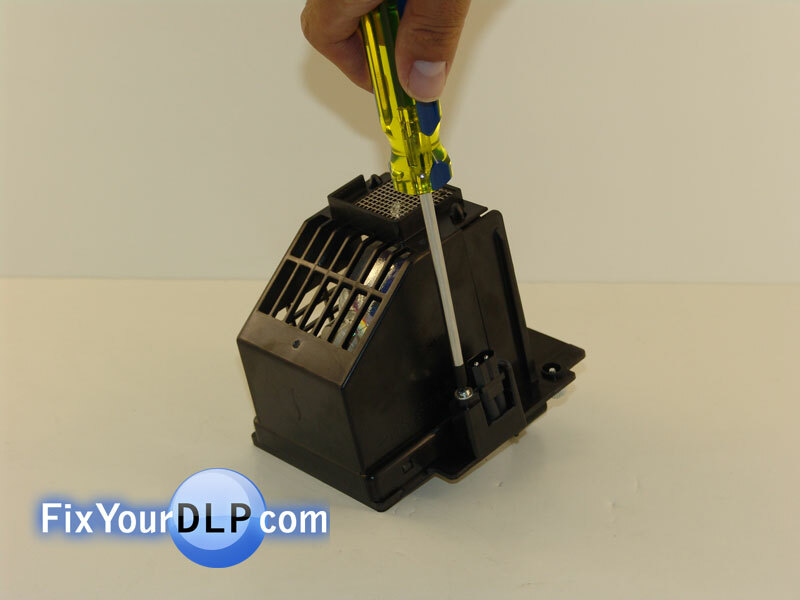 1.- Start by uninstalling the screw securing the connector to the plastic enclosure. 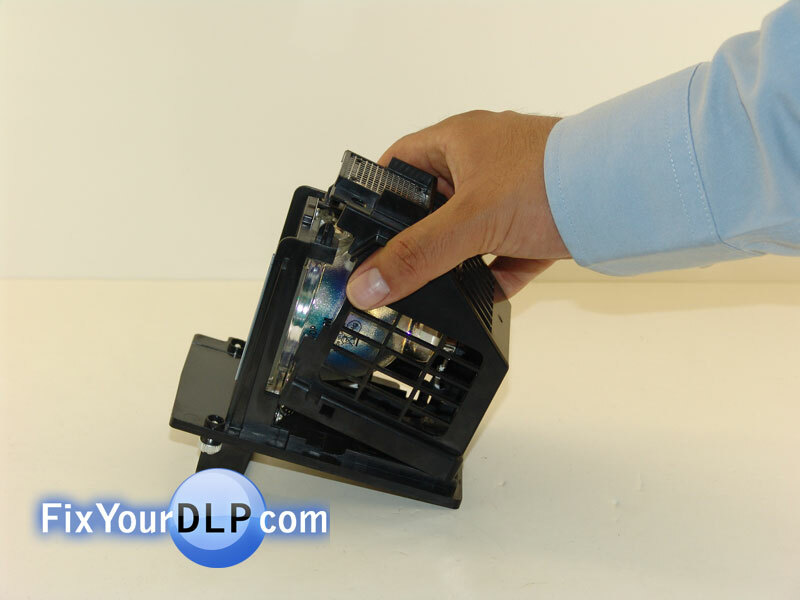 2.- Separate the top piece of the enclosure from the bottom one by carefully pressing it from the sides. 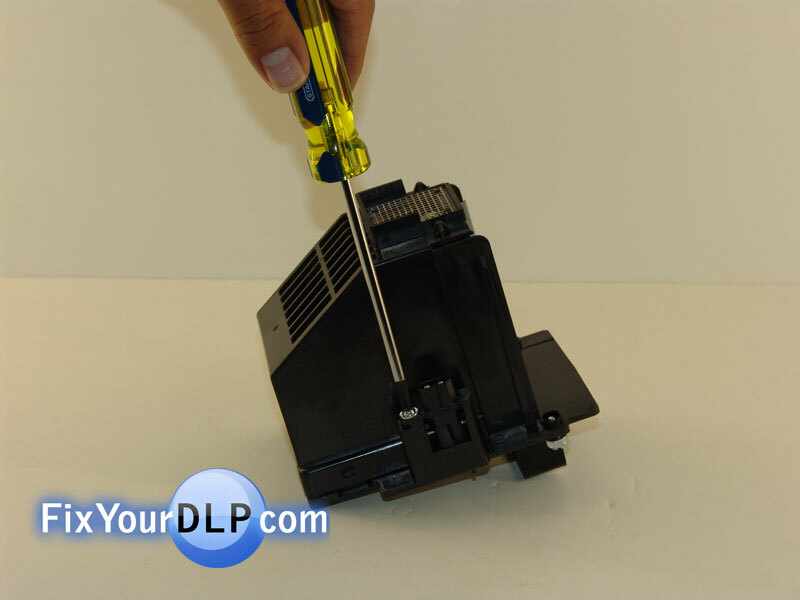 3.- Use your screwdriver to remove the cable attached to the side lamp terminal. 4.- Take you pair of pliers to take out the nut and free the lamp from the cable connectors. 5.- Remove the screw holding the security wire around the lamp on the other side. 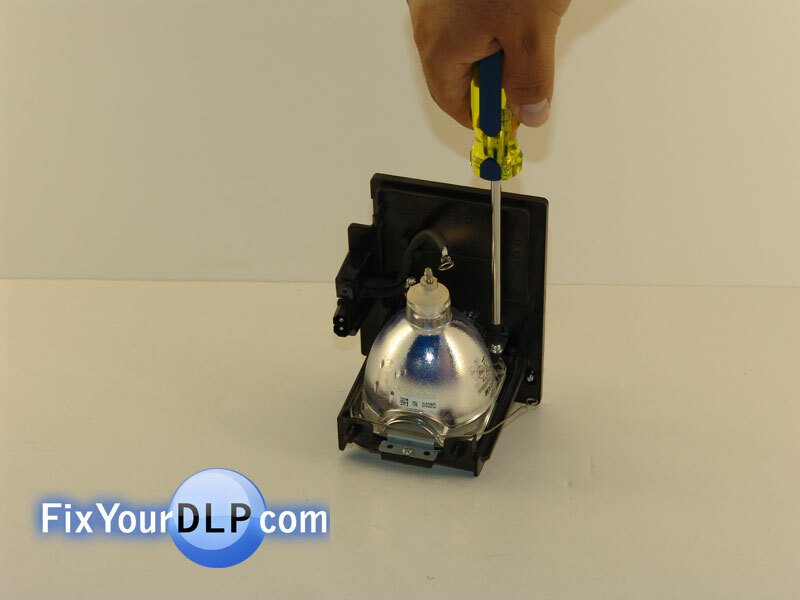 6.- Proceed to remove the metallic lamp holder with your screwdriver. 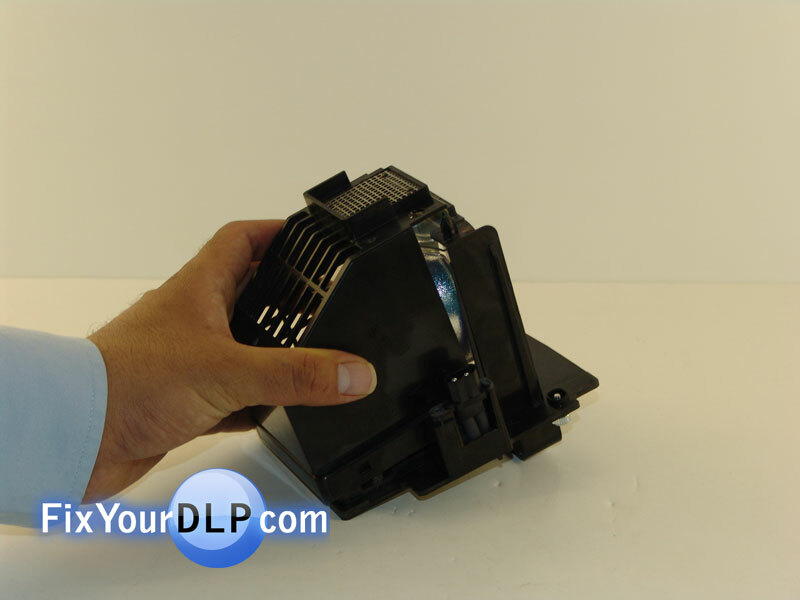 There are two screws on either side, after removal take out the old lamp from the plastic housing. 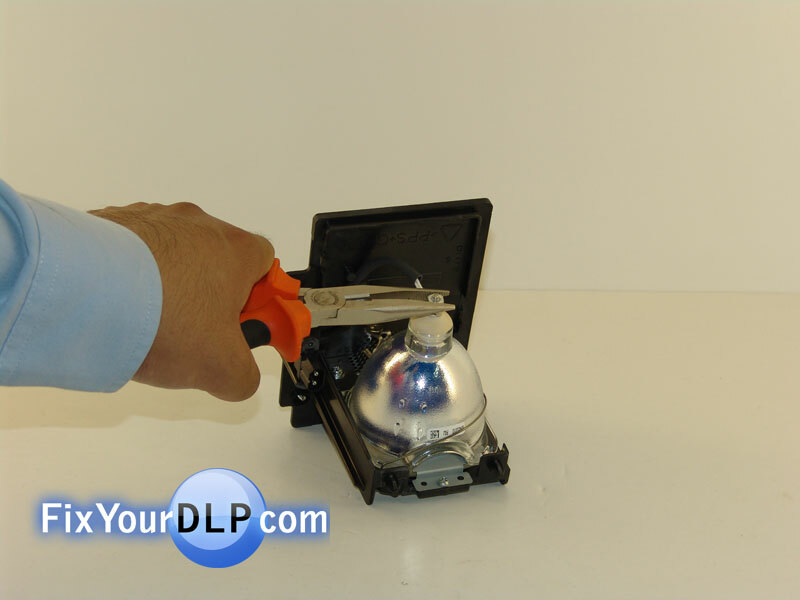 8.- Ready your new lamp for installation. 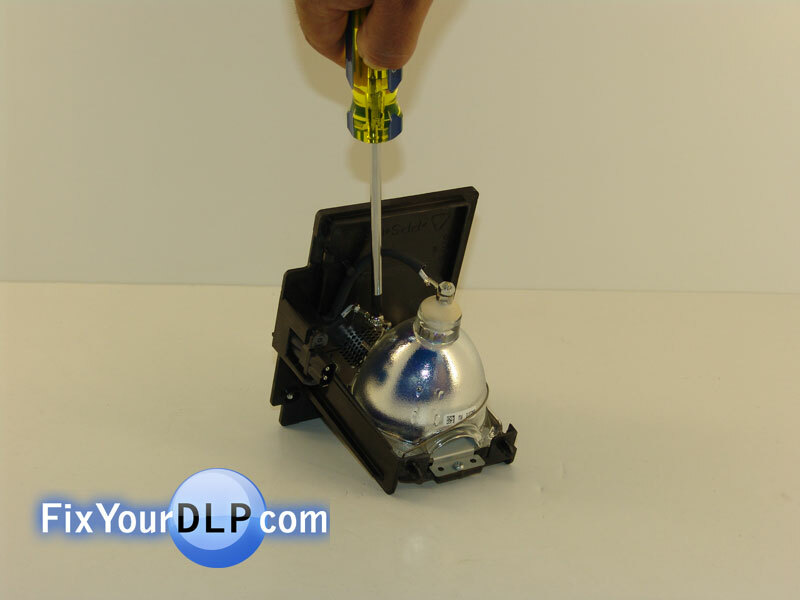 A.- Start by reinstalling the metallic lamp holder. B.-Secure it by inserting the two screws on either side. 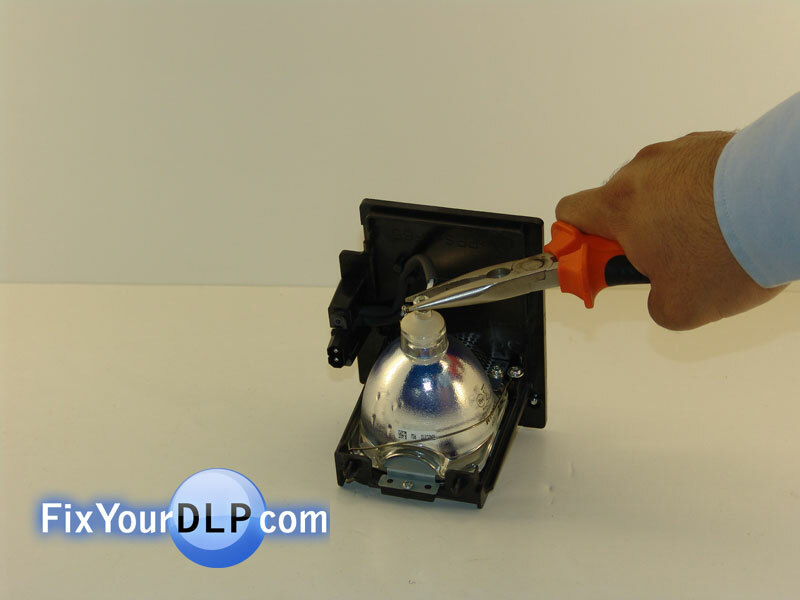 C.-Continue by securing the lamp with the wire that has to be screwed to the enclosure. 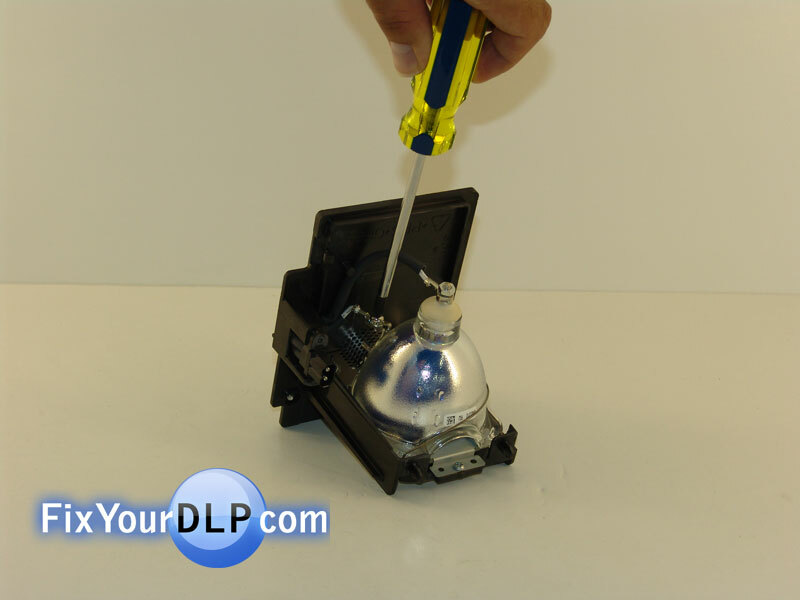 D.- Use your pliers to secure the nut at the top terminal holding the lamp connector in place. E.- Reinstall the last screw at the side lamp terminal holding the second connector cable. F.- Place the top enclosure piece unto the bottom one until it snaps into place. G.- Install back the connector in its proper place with your screwdriver. H.- And you’re all done!